This week February 12-16th Chambers FCCLA celebrated National FCCLA week- with an Olympic twist. Students kicked off by decorating the halls full of the Olympic colors. Monday students were reminded to dough-nut forget to go for gold, and each student 7-12th got to enjoy a tasty doughnut. 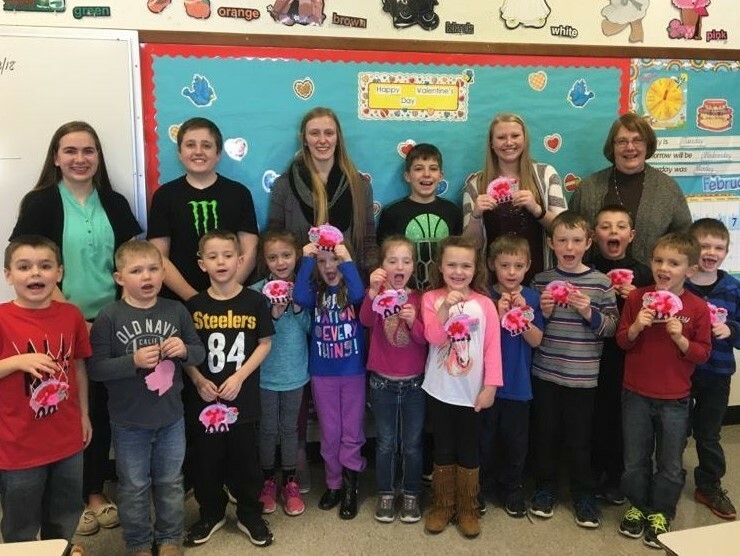 Tuesday FCCLA members shared the love-got the gold by helping elementary students make valentines to take to the O’Neill nursing home. Wednesday students got to wear pajamas- don’t be a bum-Go for Gold! Thursday students got to celebrate our golden staff by having a staff appreciation breakfast. Friday students and staff 7-12 got to enjoy Winter-Olympic themed games from curling to skeleton. Throughout the week students of the Chambers FCCLA chapter also enjoyed having a teacher/staff member as a Secret Valentine. Students brought treats and gifts to spoil our awesome staff! Chambers FCCLA is really going for the gold!